ROCCAT™ is set to roll out some impressive new technology at CeBIT 2012 in Hanover, Germany on March 6. 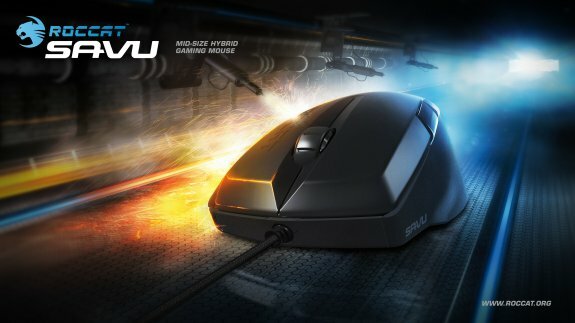 High on the list is the Savu Mid-Size Hybrid Gaming Mouse, a device whose technological supremacy, ROCCAT says, will make in unbeatable in its class. The Savu is expected to hit shelves internationally early May. ROCCAT Labs will also debut its newest top secret gaming tech at CeBIT 2012 – a project, currently shrouded in secrecy, that ROCCAT says will create quite a stir in the gaming world. The company plans on unveiling the product to select visitors only. Keep your ears open for more details. You’ll find ROCCAT in Hall 17, Business Center, Booth C59 at CeBIT 2012.